Almost every state in India boasts of its own cuisine, a long list of delicacies that you will find nowhere but there. 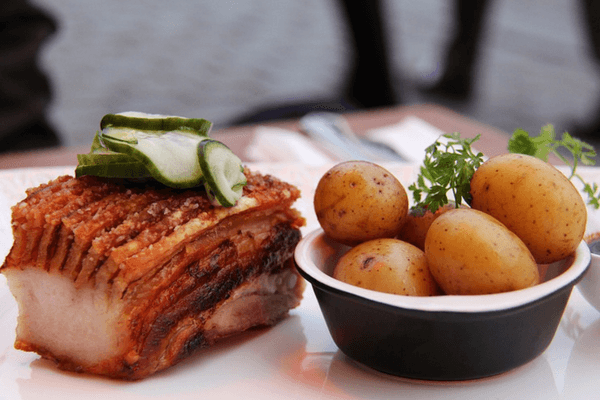 If you cannot help but smile every time you hear someone mention ‘food’, then you should definitely add these cities to the list of places you definitely visit. Here are 30 Indian cities for food lovers where you will find the best food. Every state in India boasts of its own cuisine, a long list of delicacies that you will find nowhere but there. If you are one of those people who cannot help but smile every time they hear someone mention ‘food’, then you should definitely add these cities to the list of places you definitely visit. The capital of the country is one of those Indian cities for food lovers which is famous for a wide range of food items, from roadside Chaat, Chhole Bhature, to the amazing Butter Chicken. When in Delhi, you should not miss delicacies like Nihaari, Daulat ki Chaat, Moth Kachori, and Kesar Lassi. A trip to this Indian city for food lovers is incomplete without taking some of its iconic food trail. Visit Parathe Wali gali for hundreds of parathas with different kinds of stuffing like mashed potato, radish, onion, and even cheese. You can take a walk in Sadar Bazar and have some amazing choley bhature at Sitaram Diwanchand’s or visit Chandni Chowk early morning and taste the delight prepared at Kallu Nihari wale. 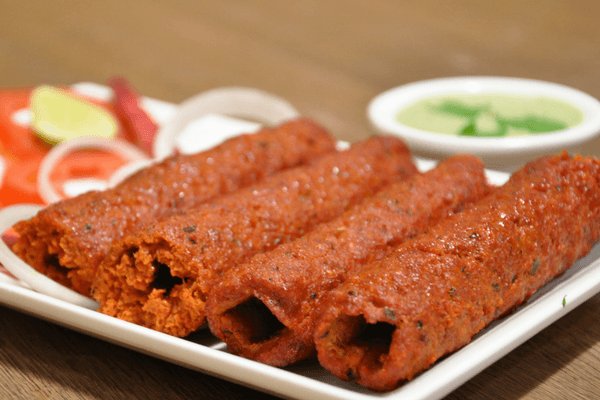 For best galauti kebabs you can visit Rajinder Da Dhaba at Safdarjag Enclave and Ganesh and Karol Bagh will introduce you to their majestic fried fish pakodas. Delhi’s food scene is a huge entity in itself and it requires multiple visits for the real food lovers to relish the majestic cuisines of this city. Kolkata is amoung those Indian cities for food lovers, which never disappoints the food lovers when it comes to food. From sweets that melt in your mouth to the best Kathi Rolls that would leave a lingering taste in your mouth, this city has it all. When in Kolkata, you should never miss the authentic Chinese food at China Town, and Phuchka, Mughlai Paratha, and Cutlets from the narrow streets of North Kolkata. An introduction to Kolkata’s amazing street food culture is incomplete for the true food lovers without visiting Park Street. You can find a number of street vendors selling jhal murhi, chanajor garam and ghughni. 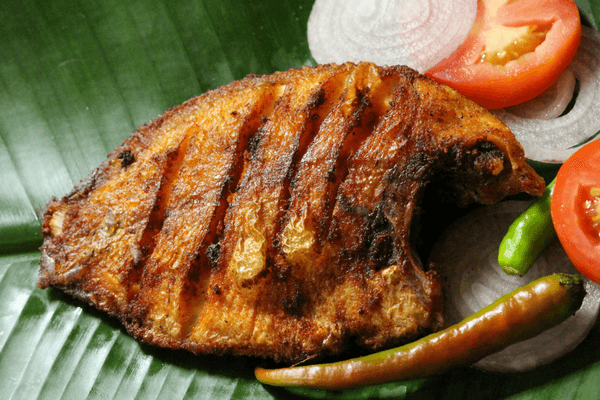 Arsalan, at Park Circuits is known for its signature biryani and cheese kebabs and for the best ilish, you can always visit Ballygunge Place or Kasturi for the most homely fish curry prepared in Bengali style. A walk in the lanes of New Market Kolkata will introduce you to the most amazing sweet shops where you will get to enjoy the traditional roshogulla, jalebi and kachori. Among all the other Indian cities for food lovers, here one will find the most authentic South Indian food in the City of Chennai. 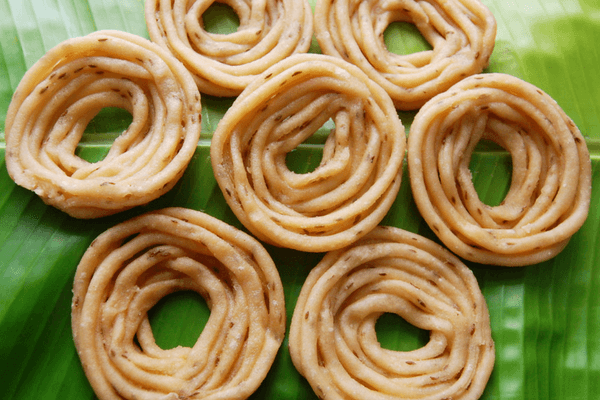 Coiled and crunchy murukkus, mohinga, and kothu parotta are widely available lip-smacking specialties in this Indian city. Chennai has a lot of spots where the food is as traditional as it can get. Mint Street and Snowcarpet areas serve amazing local Taminial meals like set idli and dosa. 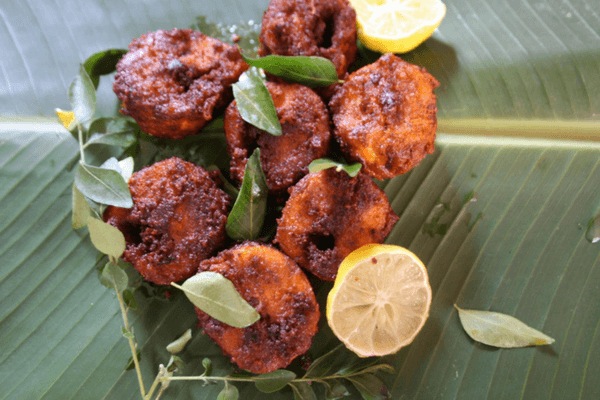 You can visit Marina Beach in the evening to enjoy an array of seafood like fried fishes and roasted prawns. Nestled in the lap of Dhauldhar Mountain range, Dharamsala is famous for its Tibetan Monasteries and trekking trails. 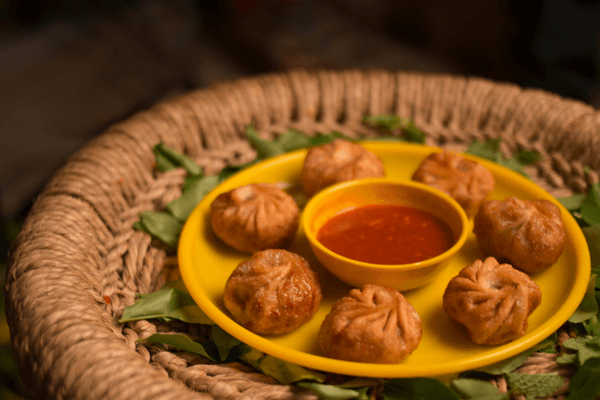 Unlike other Indian cities for food lovers,the food of this Indian city is influenced by the Tibetan culture and you will find momo, thupkas, and shabley prepared in the most authentic way you food lovers can imagine. McLeodganj in particular is a number of eating joints. The main square has a popular café called Bodhi Greens, especially made for the vegan food lovers and travelers. A few steps ahead you’ll find Jimmy’s where you will find the best cheesecakes and thin crust pizza. Explore the local market and you’ll find a lot of stall serving steamed mo mos with vegetable, chicken and pork fillings. A little walk further away from the main town and you’ll find an amazing German Bakery in Dharamkot with awesome cheesecakes and home brewed coffee. It is a beautiful, quaint town in Kerala, famous for its lush green backwaters and houseboats. 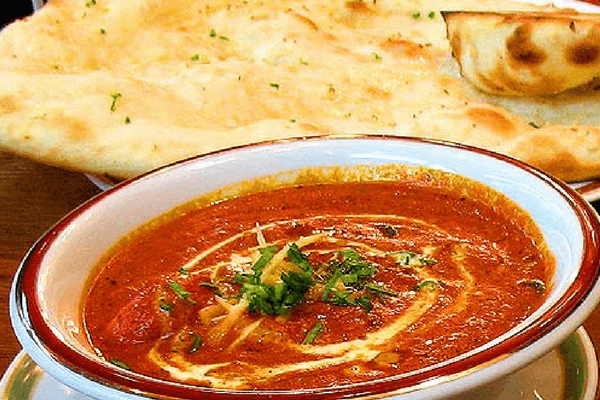 Among all the other Indian cities for food lovers, this Indian city is also known for giving birth to some of the amazing curries that traveled around the world from here. The best places to have amazing cuisine in Alleppey are located on the houseboats as well as in the maintown. A small restaurant called Cassia is famous for amazing burgers and pizza. Cassia is known for their signature meat crab with appams. This takes your experience of local meal to a whole new level. Harbour restaurant is a local favorite for the backpackers who hit this place for its cheap meals. The kareemeen served here is delicious and fresh. You food lovers can also enjoy squid soup and grilled prawns from the menu. Every foodie knows the Hyderabadi Biryani is a one of a kind dish this city offers from all the other Indian cities for foodies. But that’s not the only delicacy that this ancient city has to offer. You should not miss the Haleem, and varieties of Seekh Kebabs.The land of Nizams doesn’t let their food lovers down. When here, hit the Karachi Bakery for some amazing biscuits. An ancient eatery called Hotel Shabad on Marina Road serves amazing chicken nihari for INR 60 only. Chutney’s is a very popular restaurant where people wait for hours to enjoy delicacies like Uttapams. Guntur Idlis. Corn Dosa and Paneer Tikka Dosa. 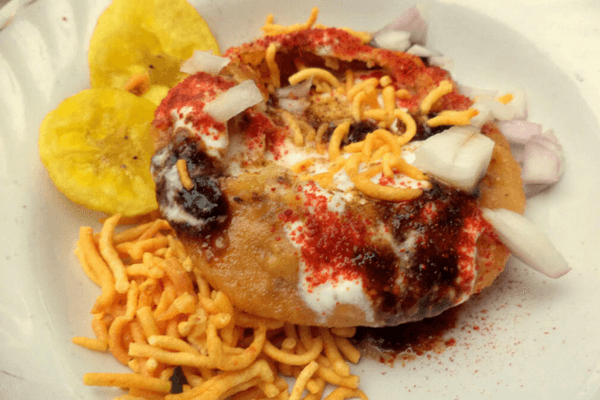 The flavoursome Chaats of Banaras is probably the best Chaats from any other Indian cities for foodies. So its got to be on your list of best Indian cities for foodies. 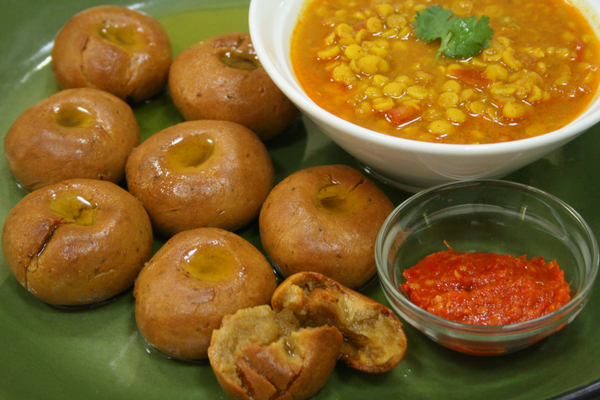 But apart from that, you will also find ghee-dripping baati or the sweet, creamy, melt-in-mouth goodness of the malaiyo. You should start your food trail of Varanasi from Assi Ghat. Here Bhokali Chat Center lets you prepare your own golgappas and chat and experiment with the most popular street food of the country. Cafes like Sparrow and Open hand are perfect for international cuisine and coffee. You can explore the lanes around Vishwanath Gali and enjoy cheese sandwhich, pakodas, samosa and jalebi from street side stalls. 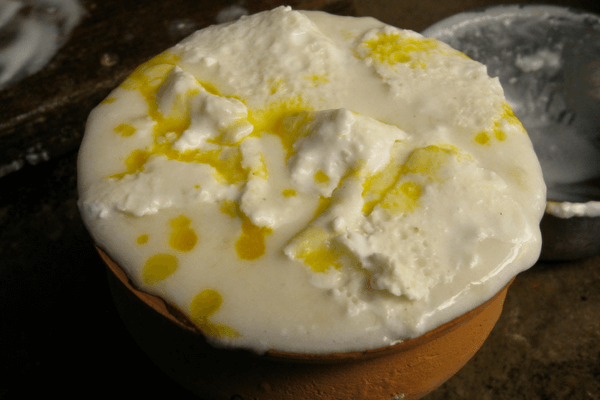 The Ganga Vatika is famous for amazing applie pies and a short walk will take you to Baba Lassi and Blue Lassi where you can enjoy more than 15 types of lassis. 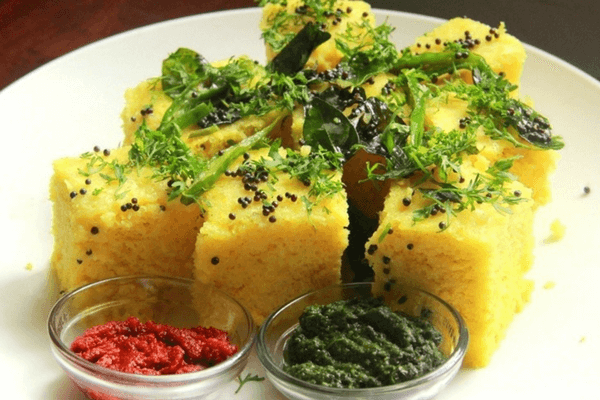 Even though the Mysore Pak is a delicious enough reason to visit this city, you should also try the mouth-watering Dosa, Gobi Manchurian and Fried Chicken which is one of the best of all other Indian cities for food lovers. Apart from the famous Mysore pak, you will also find abundance for restaurants service set meals. The streets of Mysore are filled with stalls offering fresh juice and pineapple masala. Take a walk around Mysore palace and you’ll find small shops serving amazing Gobi Manchurian. The Egg fried rice found near Vrindavan Gardens is also amazing. The city of Nawabs is a heaven among the Indian cities for food lovers. In this city, you will find the best of Awadhi cuisine. Kebabs, Biryani, Korma, just name it. The street-side chaat shops are equally good at tickling your taste buds. When you are in Lucknow, the best place to start a food trail is Hazratganj. The lanes of Hazratganj are filled with hundred year old eateries where the customers are known to be visiting for years. Start your trip with Sharma Tea stall and enjoy chai in an earthen pot or kulhad. From here visit Dastarkhwan to enjoy some heavenly Awadhi Biryani and Shahi Tukda. Later in the evening, take a walk around Old Lucknow or Aminabad. The oldest Kebab Shop, famous for the specialty called Galawati Kebabs is present. Tunde is visited by thousands of people for years and when you are here, be ready for a long wait as customers keep coming and multiple orders are served every minute. End your trip of Aminabad at Praksha Kulfi. Here a speciality kulfi is prepared with kesar and other ingredients that only the shop’s chefs know about. This kulfi will take your tastebuds on a tour of heaven. Even though Amritsar is more famous as a pilgrimage destination, you should know that this city offers the best Punjabi Cuisine than any other Indian cities for food lovers do. The food lovers with a sweet tooth cannot miss the Paronthe dripping with butter, the sweetest Lassi, and the piping hot Jalebi. Also, you cannot afford to miss the Langar at the Golden Temple. Located in the old city of Amritsar, Kesar da Dhaba is a hundred year old restaurant. 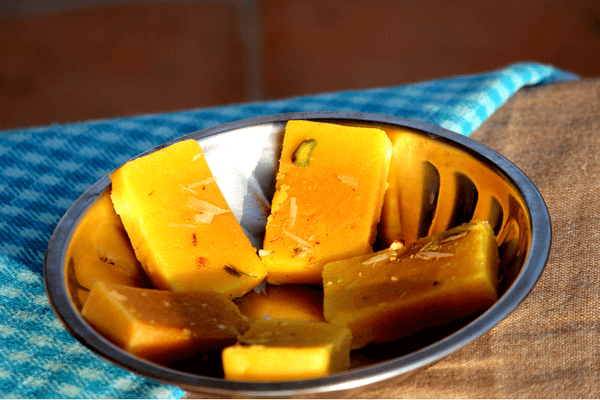 Their delicacies are prepared in desi ghee. 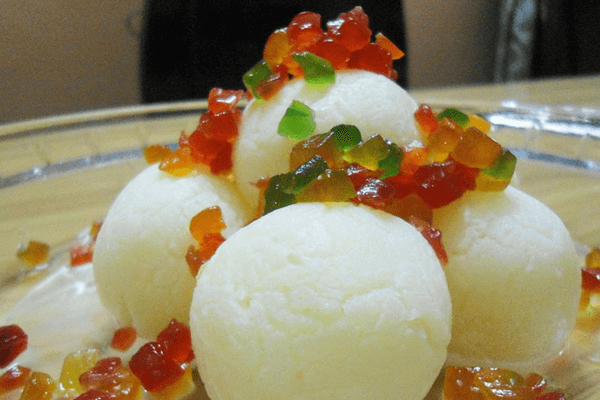 You can enjoy gulab jamuns, kulche, and amazing lassi. 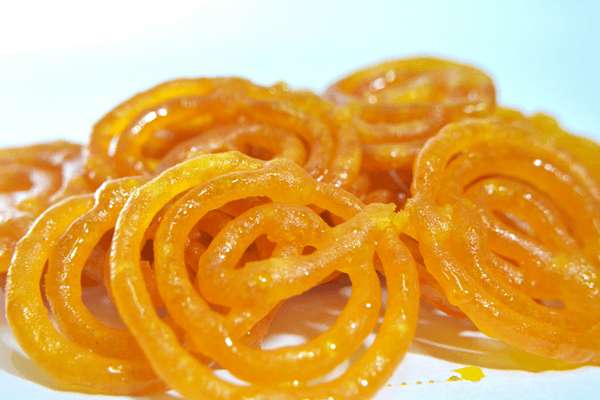 A small shop that goes by the name of Gurdas Ram de Jalebi Wale are famous for their amazing jalebis. Following these places you can finally call of the day after a hearty meal at Chungi de Kulche. A quick getaway from Bangalore, Coorg among other Indian cities for food lovers is an adventure as well as a food paradise. Surrounded by the lush green Western Ghats, Coorg is popular for its trekking points, elephant stables and jungle trails where you can keep exploring and surprising yourself. Coorg is also the region that is famous for its pork recipes. Locally known as Pandi Curry, this delicacy is prepared in the local herbs and spices whose mere aroma sends your nostrils and taste buds for a spin. The Raw Jackfruit, Pumpkins and Wild Mushrooms make Coorg a must visit place on the list of Indian cities for food lovers for the vegetarians as well. 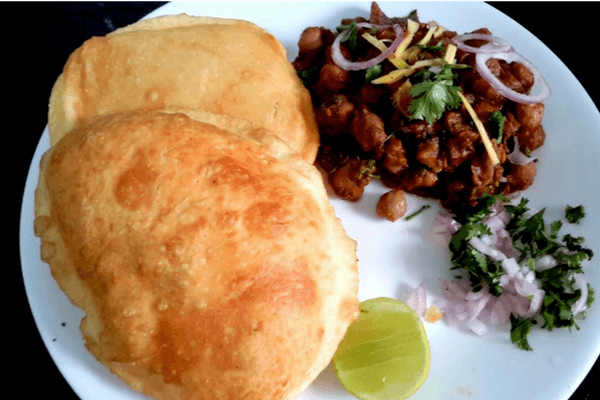 If you do not know what Litti-Chokha is, you cannot call yourself a foodie. 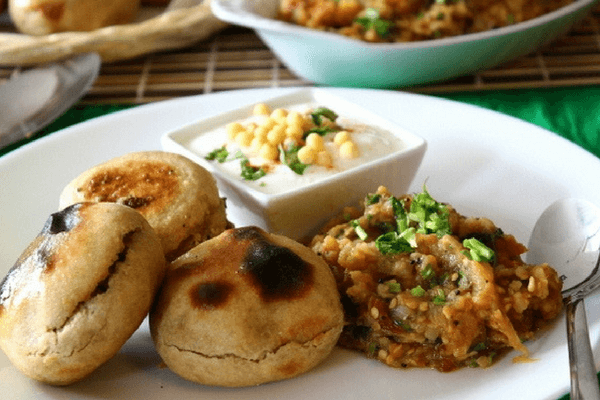 Find the most authentic and delicious Litti-Chokha compared to any of the Indian cities for food lovers in the streets of Patna, along with other lip-smacking favorites like Aloo Kachalu, Ghughni Choora, Dahi Choora, and a lot more. A food trip of Patna is best enjoyed by local stalls selling litti chokha around Patna Junction. A short ride to Boring Road and you’ll find some stalls preparing litti chicken which is strictly not for those who cannot take spicy meals lightly. Biryani Mahal serves biryani in mutton and chicken prepared with long grains of rice. The desi Chinese stalls of Maurya Lok are the most famous street food joint where the food lovers visit regularly to enjoy their delicious food. On the list of best Indian cities for food lovers, Ahmedabad is an absolute heaven for vegetarians. It offers a range of vegetarian delicacies, like Khakra, Fafda, Dhokla, Sev. An Ahmedabadi morning is incomplete without a plate of fafda and jalebi. The shops that prepare this delight have customers visiting them for ages. The old Ahmedabad is a heaven for the non-vegetarians. The Tandoori Chicken, Roasted Mutton, Nihari and amazing Mutton Samosas are among the few that you can only find in the lanes of Old City. If you are looking for a haveli like experience then Agashiye is the best place to be. The traditional restaurant serves premium Gujarati Thalis in a old haveli like setting. Even the utensils used symbolize the glorious area of Gujarati traders living in Old Ahmedabad. New Lucky restaurant is another iconic joint near Sidi Saiyad’s Mosque. The specialty of this restaurant is that it is built over a graveyard and you get to enjoy your meal sitting right next to a grave. The city of dreams offers a wide range of cuisines from all over the other Indian cities for food lovers. You can find the best of everything here. But if you are in Mumbai, you definitely should start your exploration with the likes of Pav Bhaji, Vada Pav, and Misal Pav. Hit Juhu Beach in the evening to enjoy some amazing Dosa, Pao Bhaji and Ice Golas. The lanes of carter road serve amazng burgers, parathas and kulfis. If you are around Linking Road then Persian Darbar is a must visit. This iconic restaurant is famous for its Arabian Cuisine. For the lovers of non-vegetarian food items, it is mandatory to explore the lanes of Bhendi Bazar. Here you’ll get to enjoy items like Biryani, Kulcha, and Nihari are very cheap prices. The residents of Chandigarh and Delhi have a rivalry who believe that their food scene is better than the others. Chandigarh gives Delhi a run for its money when it comes to Choley Bhature, Kulcha and Butter Chicken. 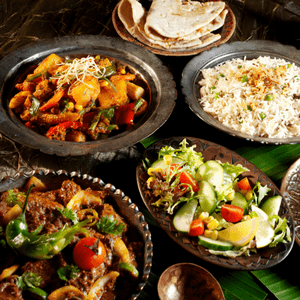 Which of these Indian cities for food lovers has it better, visit and decide yourself. The sector 8 market of Chandigarh is a traditional take away market of the city. Every evening you’ll see students and working professionals wandering around on the streets of this market enjoying tandoori, tikkas and Chinese food. There are some amazing bakeries that prepare awesome cakes, pastries and doughnuts. The capital of Meghalaya is famous for its delightful weather, cherry blossom trees, and lovely waterfalls. From all the other Indian cities for food lovers, Shillong is also the home of the best Meghalaya’s street food. For a foodie who doesn’t have a selectiveness for food can find varieties of Momo, Pork Roast, and Spare Ribs, at throwaway prices. You should also try Jadoh, which is an authentic Khasi delicacy. When you are in Shillong, take a taxi to the Bosco Square. You’ll find delicious mo mos with beef and chicken fillings. These huge momos only cost INR 30 for two pieces. A nearby shop called Jadoh serves amazing rice and chicken curry for INR 50. A short walk will take you to Café Shillong where you can enjoy local coffee and other local delicacies. Their pork burger is very popular. In Pondicherry, you will the find the perfect blend of South Indian cuisine with French Cuisine than any of the other Indian cities for food lovers. The big time French food lovers should not forget to try the French delights in the cute little cafes in the beautiful city. These cafes are a heaven for the foodies who can find some of the most authentic dishes ever. Care for a pizza as huge as diameter of 35mm, visit ‘Café Ecstasi’. If you are an art lover who loves graffiti and doodles then ‘Café Des Arts’ is the best place to be. You will find the Best of Kashmiri culinary delights in the city of Srinagar. The Kashmiri people are known to pour a pinch of love in the food they prepare and feed you with the same joy by which they would feed one of their own. You definitely shouldn’t miss Yakhni, Goshtaba, Kashmiri Dum Aloo, and of course, the famous Rogan Josh. Srinagar has a delight known as Halwa Puri found in the lanes of Hazratbal. The Puri is huge and a portion of it when served with the delicious halwa, makes you feel content for a lifetime. If you are staying on one of the houseboats of Dal or Nageen Lake then feel free to ask your houseboat owners for a portion of Shaak Bhat. The spinach and rice are a humble meal for every Kashmiri home and you can enjoy their lifestyle on your trip. Take a small detour and visit Laal Chowk for amazing samosas, jalebi and kebabs. The small shops on the Dal Lake road offer amazing Kahwa that is really good for health. You can also hit Mughal Darbar on the mail road for the most authentic Kashmiri Food and Wazwan than any other Indian city for food lovers has to offer. One of Odisha’s prime tourist destinations, Puri from all the other Indian cities for food lovers is the paradise for seafood lovers. You can find a number of street-side vendors selling amazing varieties of fried fish around the main beach. The restaurants in Puri offer the best of seafood, from fish, prawns, lobsters, to crabs. Apart from the sea food served at main beach you food lovers also need to visit the main temple town for sweets like Roshogula and Mishti Doi. The Puri Temple’s mahaprassad is also a heavenly delight prepared with special ingredients. The Pink City offers a plethora of delicacies that none of the other Indian cities of food lovers offer and would leave you craving for more. From Kathi Rolls to Kachoris to Kulfis, Jaipur’s street shacks and intricately decorated restaurants have it all. Jaipur is also famous for its pyaz (onion) kachoris. One can find them at Rawat Sweets that is one of the pioneers of this delight. Take a walk around Amer Fort and your tastebuds will find a treat of lifetime with different types of snacks that are sold here. Agra isn’t only famous for the Taj Mahal. If you find yourself in Agra, Do not forget to try the wide varieties of Petha that is available all over the city, and bring some back for your family and friends. The lanes of Agra like some of the other Indian cities for food lovers are known for delicious biryani and kebabs at very throwaway prices. Taking a walk in these lanes is like a treasure hunt for the foodies. Rambabu Paratha Bhandar is a popular street food joint of the city famous for its delicious fillings of cottage cheese, vegetables and spices. Deviram sweet shop is famous for bedai, a variation of kachori. You will also enjoy jalebi, gulab jamuns and ras malai at this shop. For the non veg lovers, Mama chicken house is a delight. Here you can enjoy a variety of chicken curries, biryani and kebabs. Agra boasts of a famous Chaat street. An entire lane dedicated to different varieties of chaats, samosa, sweet items and pakodas being sold in different stalls. The small coastal town of Baga offers sand, sun, parties, and fun – ingredients that make up the perfect Goa experience. But this small town also offers amazing food. You can delight your taste buds with a heartwarming blend of Portuguese and Konkani cuisine. The party lovers will enjoy their time at Britto’s. An iconic restaurant of Goa state, is visited by every visitor looking to dance their night away. Their baked crab and butter garlic prawns are amazing. Another amazing restaurant at Baga is St. Anthony’s Shack. This sea side eating joint provides super views of the Arabian Sea and has Karaoke for the visitors. 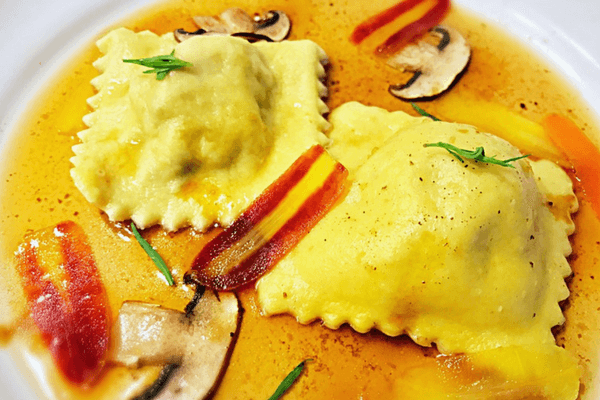 For the fans of European Cuisine, need to visit Fiesta where delicacies like ravioli and coconut ice cream. Vizag or Visakhapatnam is a beautiful cost town for food lovers whose natural beauty is best enjoyed with a plate of Biryani. In fact, Vizag has some of the best Biryani joints than any of the other Indian cities for food lovers have, in Andhra Pradesh. Alpha hotel is one of the oldest restaurants in the city that serves amazing biryani and fried chicken for dirt cheap prices. MVP Punukulu is popular for its evening snack known as Karam Podi served with tangy red chutney. Apart from these traditional eateries, there are a lot of modern, swanky restaurants in the city where you can find every type of cuisine. 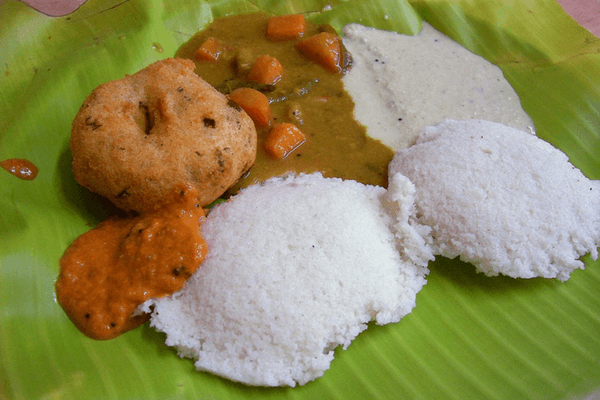 In Kochi, you can find the best culinary delights of Kerala. You will find the regular Dosa, Idli, Vada. But you will also find authentic and elaborate breakfasts served on the banana leaf, and these are the dishes you should not miss. As a backpacker’s paradise, the Fort Kochi region is famous for its budget friendly hotels. A mixture of cultures here has given birth to some delicious fusion food. For example Arca Nova specializes in Latin-Christian cuisine, where you can enjoy tuna pepper with appam. Located on the Jew Street, the Ginger House Restaurant is located inside a museum. This restaurant specializes in ginger based dishes like ginger tea, ginger ice cream and ginger lassi among the many. For the best homemade cakes and pies you can always visit Kashi art café. Bangaluru offers a blend of cuisines from all over the country, along with authentic South Indian culinary delights. Bangaluru has some of the oldest restaurants where the quality of the food hasn’t gone down since the time they have started. The modern corporate culture has also given rise to a lot of swanky restaurants and pubs. If you are someone who loves traditional Muslim cuisine then Shivaji nagar is the best place to be. The lanes of Shivaji Nagar will enchant you with the amazing kebabs and biryanis. The street food lovers will enjoy exploring commercial street and the variety of chaats, pao bhaji and vada pao sold here. The fans of homebrewed beer can enjoy their time at Toit and Prost. They prepare beer in a variety of flavours. Pushkar is known for its quaint lanes, serene ghats and the lovely street food that is only vegetarian. The travelers come here to see the authentic Rajasthan that exists in every corner of this small town. One of the best part of travelling here is the joy of camping in desert. These campsites are popular for the gatte ki sabzi that is prepared in open desert under the starry sky. This delicious sabzi is prepared with gram flour. The combination is then dipped in tangy gravy made up of buttermilk and spices, it is best enjoyed with roti and at times with Daal Baati. If you are a fan of luxury dining then The Westin Pushkar is a must visit. The lavish buffet spread consists for some of the best traditional meal items from Rajasthan. This includes Gatte ki Sabzi, Laal Mans and Safed Mans. The sweet dishes include kheer and malpua rabri. If you venture around the temple area, you’ll find pakodas and Daal Bati Churma at dirt cheap prices. There is an entire lane dedicated to vegetarian Israeli street food. 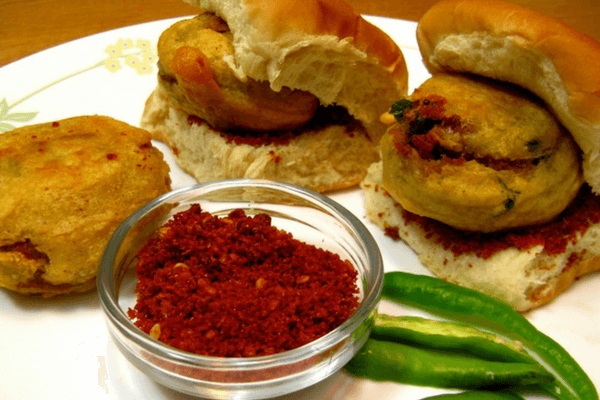 Pune gives a fair and square challenge to Mumbai when it comes to delicious food. The lovely weather of Pune makes the food experience even better. 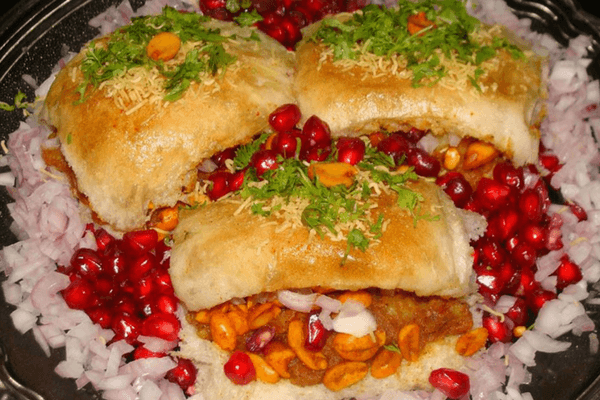 Dabeli is one of the most popular food items that the local population love. Pune is also famous for the Parsi Restaurants that prepare delicious cheesecakes and roasted chicken. Badekar is a famous joint famous for a spicy Puneri Misal. For those who are traveling in Maharashtra and wish to know more about Marathi Delicacies need to visit Shabree. This restaurant serves a specialized Marathi Thali with thalipeeth (flat-bread), sabudana khichadi (a tapioca preparation), bharleli vangi (stuffed aubergines), batatachi bhaji (a potato preparation), aamti (a gravy made of pulses), varan-bhaat (daal and rice) and lastly, buttermilk and srikhand (a sweet made of hung curd). The street food lovers can also spend some quality time around Sinhagad Fort. A small trek will take you to this beautiful fort complex. Small food vendors fill the premises of the fort where you can enjoy authentic Marathi delicacies like pithla-bhakri served with thecha, zunka-bhakar, sol kadi and gawti kombdi (chicken gravy). The walled city of Jodhpur is known for its authentic charm which takes you back in time. The lanes are filled with havelis that are more than 500 years old. Jodhpur is famous for its mutton recipes. The Laal Maans and Safed Maans are two muton varieties that will complete your Jodhpur trip. Laal Maans is a fiery spicy mutton curry and is served as a specialty cuisine in every heritage haveli of Rajasthan. 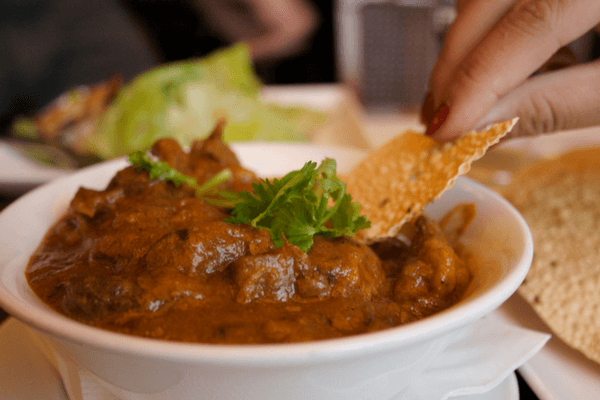 Each bite of Rajasthani Laal Maans is a result of intricate preparation and combination of local spices and herbs. Safed maans is marinated in curd before preparation. The gravy and the pieces of meat become soft because of the element of curd. The vegetarians can try Ker Sangri which is a type of pickle, eaten with Bajra roti and saag. Ker Sangri used to be a staple diet of the Rajasthani traders who used to explore the desert for business purposes. Jodhpur lives on food traditions that are thousands of years old. Visiting Jodhpur and exploring its food scene is like traveling through history. Tawang’s food compared to other Indian cities has a mix influence of Arunachali and Tibetan cuisine. 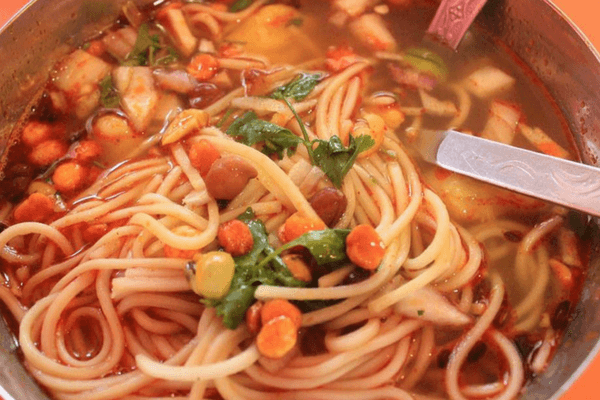 The mix of two food cultures makes Tawang a must visit place for the foodies. The food scene is as diverse as you can imagine. 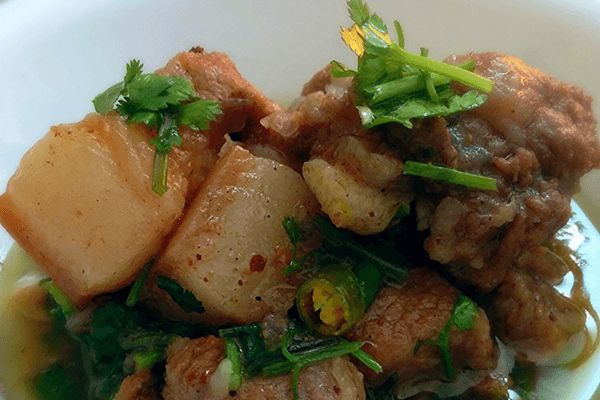 The restaurants serve food items like momo, noodle soup and thupkas as well as pork and chicken prepared in bamboo shoots, barbecue fish, mutton, pork ribs and Lukter which is dry meat prepared in spicy chilli flakes. Just for information, the chilies found in The North East are counted among the few of the spiciest so if you want to take the challenge then you are most welcome. When in Tawang, cups of Salt Tea are perfect to keep you warm. You can find one at local shops or you can simply visit Woodland Restaurant and ask for Boe-Jha. The Dragon Restaurant is famous for mouth-watering Chopsuey. A number of street food vendors around the monastery serve delicious maggi soup. One of the most popular tourist locations among all of the Indian cities is famous for its multi-cuisine culture. The streets of the Mall Road serve the most amazing chaats, samosas and not to miss ice creams with multiple layers. If you go into the Old Manali area, you’ll find restaurants with more international cuisines in the menu. You can find amazing thin crust pizza, coffee and burgers along with Chinese, Mexican and German food with the most authentic taste. If you are a lover of European cuisine then you can visit Born Free Café or the Lazy Dog. Dragon Restaurant serves amazing Chinese food. Visit Café 1947 at the beginning of Old Manali road for some delicious trout fish. An evening stroll around The Mall Road will introduce you to softy parlours where you can enjoy your serve with five different layers. India is an amazing culinary destination. The food is prepared with a lot of love and is served with the same enthusiasm. No wonder, the food is a major region to travel for many. What is your favorite culinary destination? Almost every state in India boasts of its own cuisine long list of delicacies only found here. Here are 30 Best Indian cities for food lovers. Superb collection of best foods. Being a Kolkatan, I would just request you to mention “Bhojohri Manna” an authentic Bengali cuisine restaurant named after a song, sung by the legendary singer Manna Dey which had a track “ami sri sri bhojohri manna” that revolves around a magical cook who travelled many lands. You missed the game changer . Food Capital of India. INDORE Madhya Pradesh..